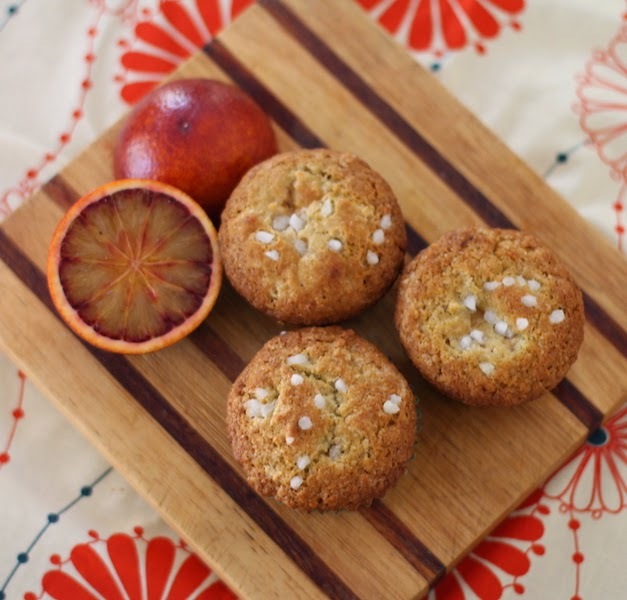 Fresh ricotta, scented with blood orange zest and mixed with brown sugar is a softly sweet filling for these lovely blood orange muffins. Yesterday I popped into my local grocery store, which in the spirit of full disclosure, I should tell you is actually part of a large French chain, and I came across blood oranges. They were part of a great big display of citrus of all kinds from many countries. 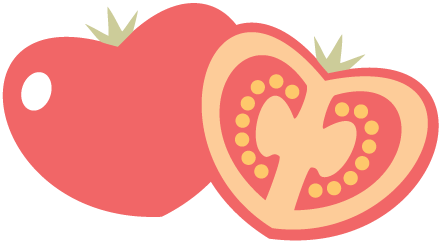 The sign said they were red oranges from Spain, but the fruit itself bore this sticker. I must have wasted the better part of half an hour on the internet, trying to determine if they were indeed Spanish or, perhaps, Italian. 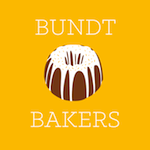 Because, if you were a Spanish company, would you choose the Mona Lisa for your logo? Seems odd. 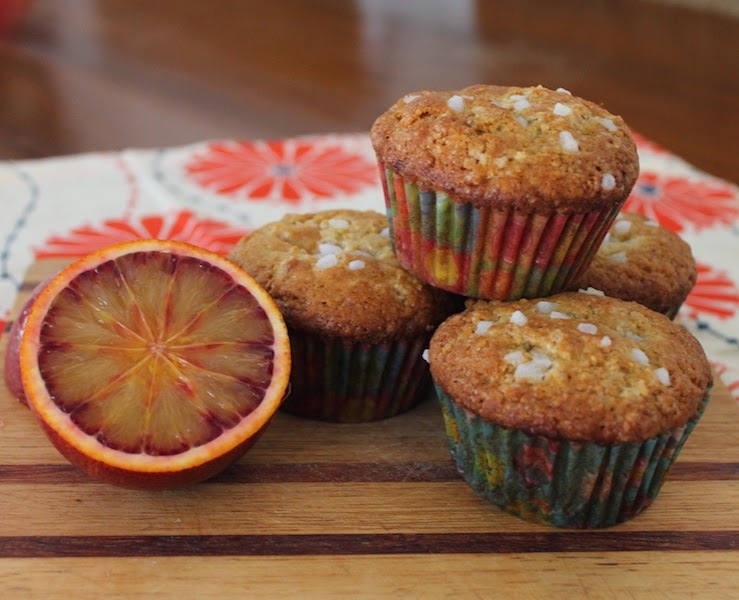 Anyway, here I am, none the wiser about the provenance of my citrus, but I do have a lovely muffin to share. 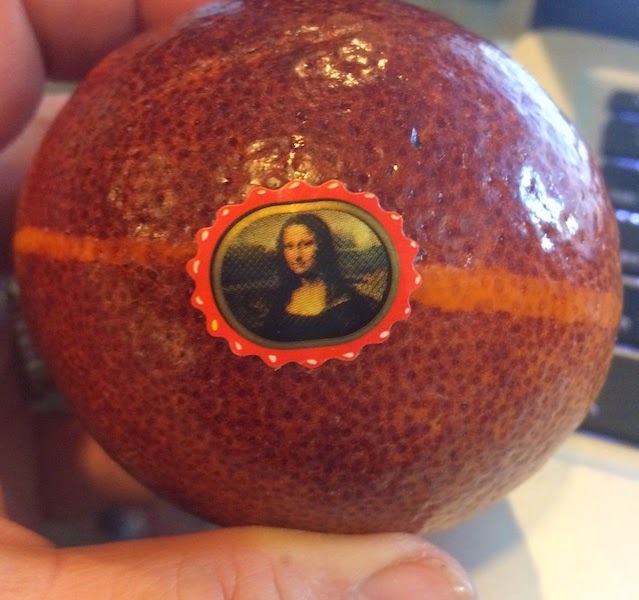 I’d be delighted to hear from anyone who knows more about the Mona Lisa oranges. Enigmatic, they are. Just like her smile. 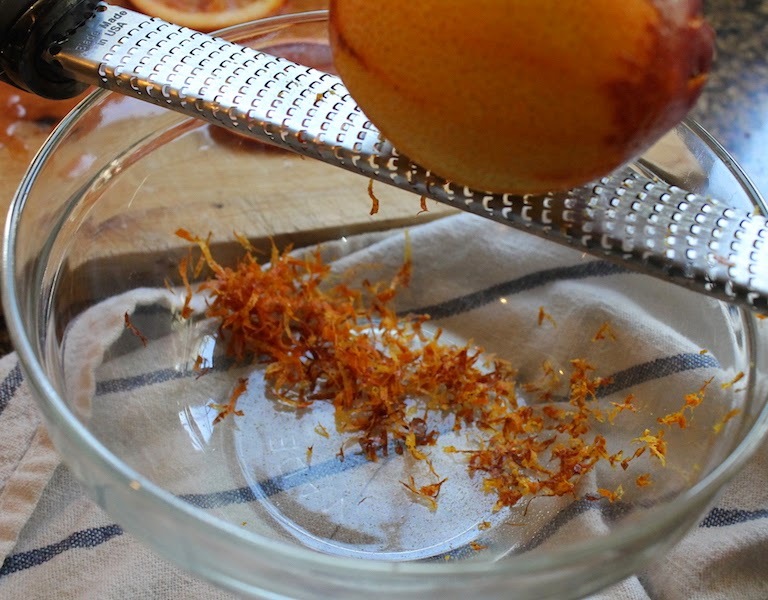 Zest your blood orange and divide the zest into two small piles. 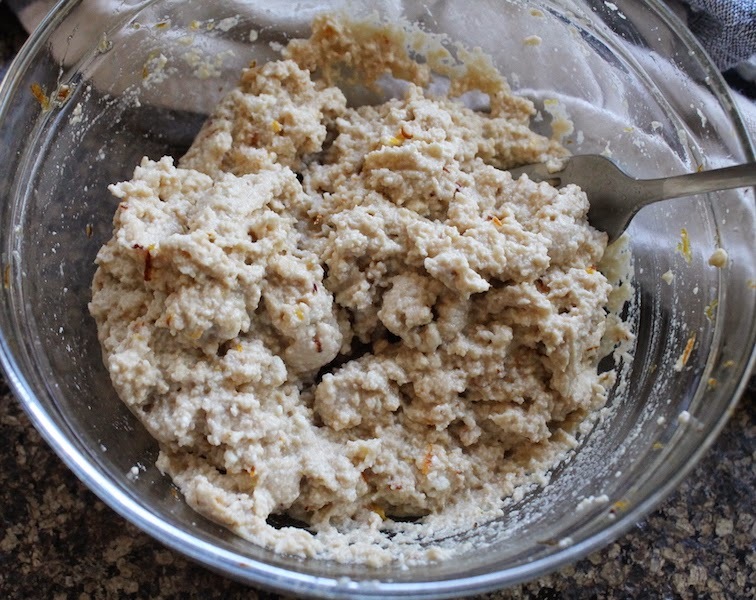 Put one pile in a small bowl with all of the other ricotta filling ingredients and mix well. 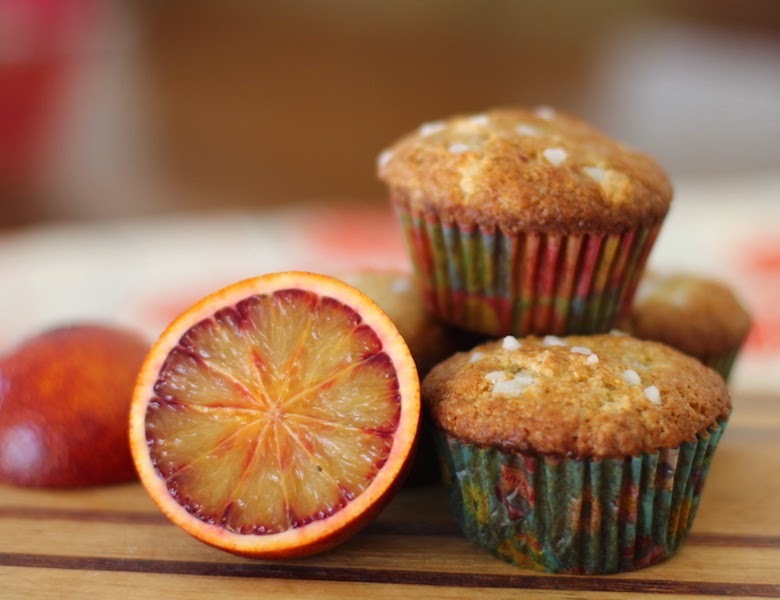 The blood orange juice is a gorgeous red, isn't it? Put the filling in the refrigerator to keep cold. Not the prettiest filling but so rich and delicious. 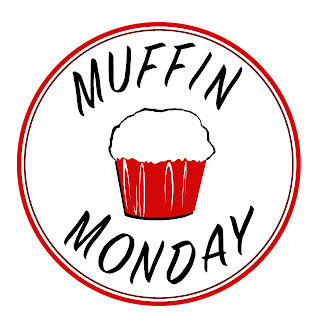 Preheat the oven to 350°F or 180°C and prepare a 12-cup muffin pan by greasing well or lining it with muffin papers. 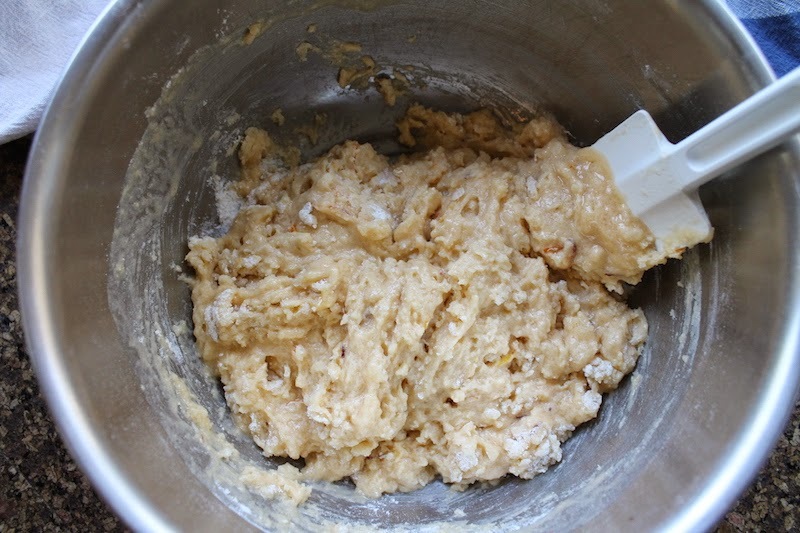 In a large mixing bowl, combine your flour, sugar, baking powder, baking soda, salt and the other small pile of zest. 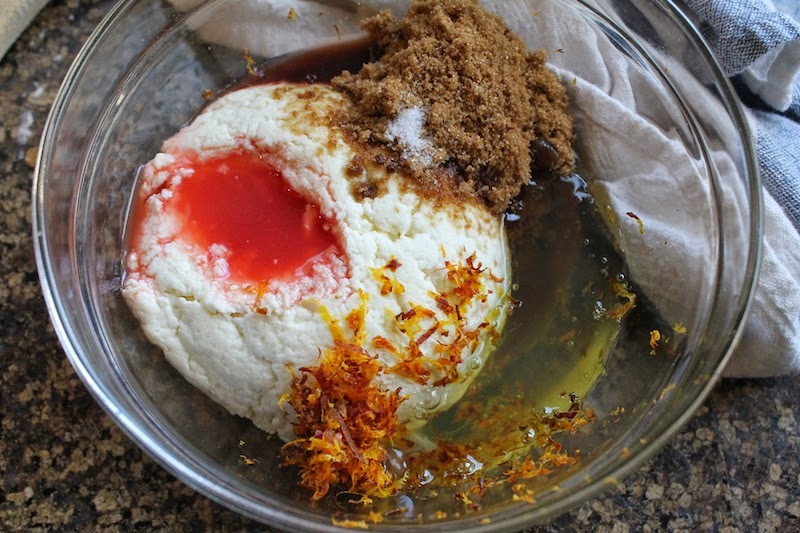 In a smaller mixing bowl, whisk together your oil, milk, juice, whole egg and yolk. 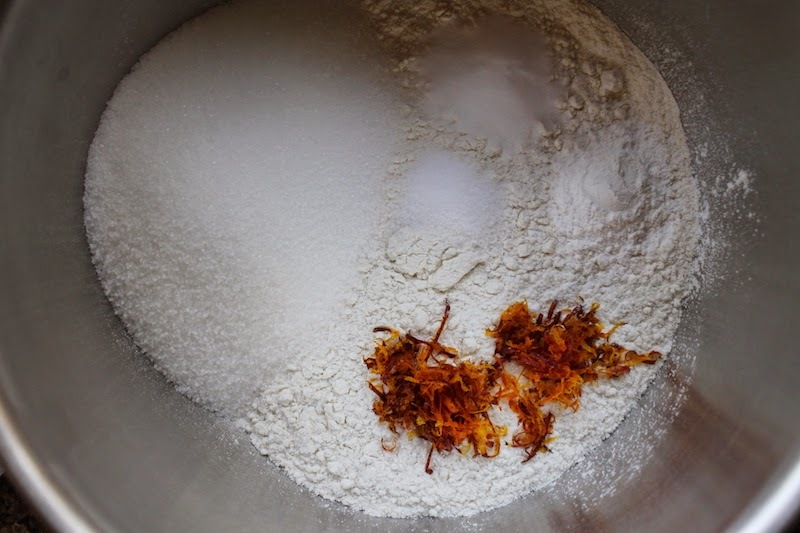 Pour your liquids into your dry ingredients and fold until just combined. There should still be a little flour showing. 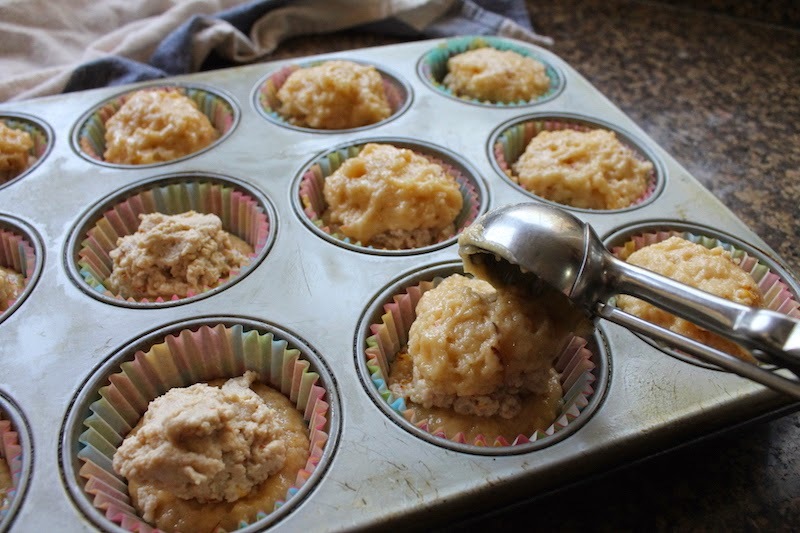 Spoon or scoop a generous tablespoon of batter into your prepared muffin pan. Top the batter with another good tablespoon of the ricotta filling. 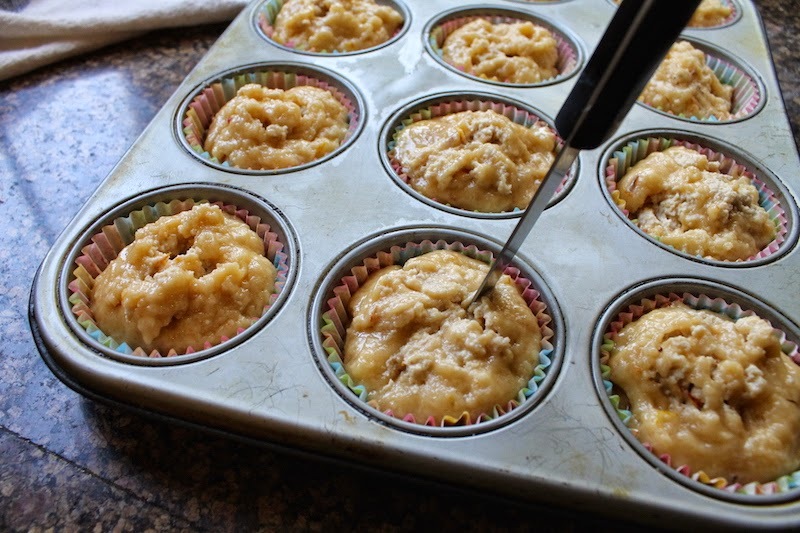 Finish by dividing the remainder of the batter between the muffin cups. 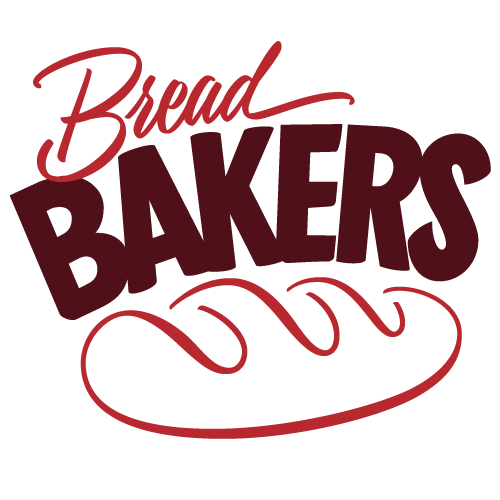 Use a sharp knife to cut two or three ways through the batter to mix it up a little bit with the filling. Sprinkle with a few pieces of pearl sugar, if desired. I like pearl sugar because it makes plain things pretty. 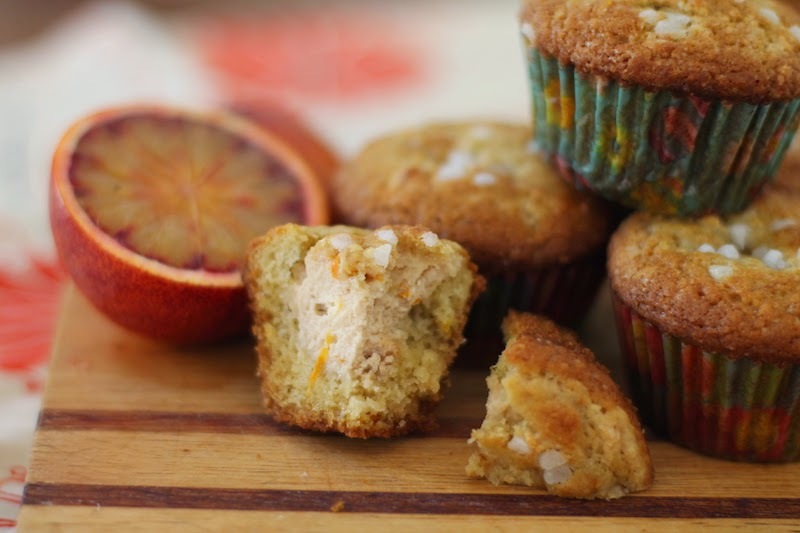 This muffin is pretty special on the inside but fairly plain on the outside otherwise. 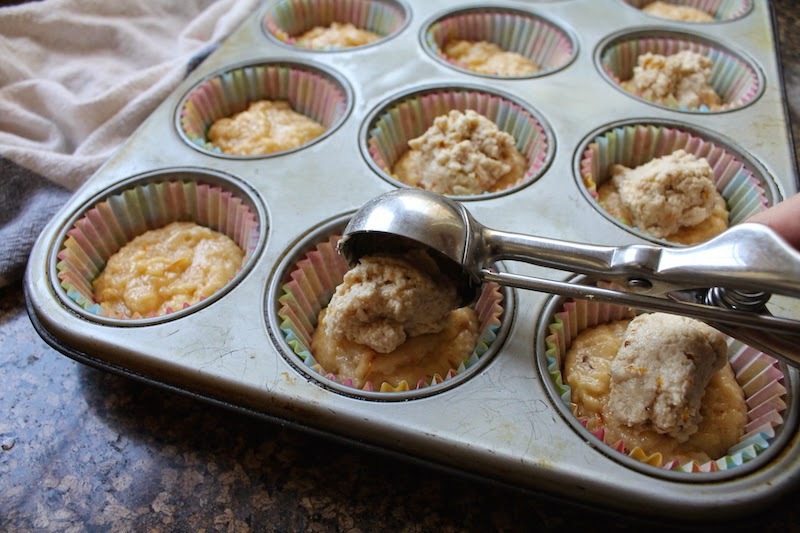 Bake in your preheated oven for about 20-25 minutes or until the muffins are golden. 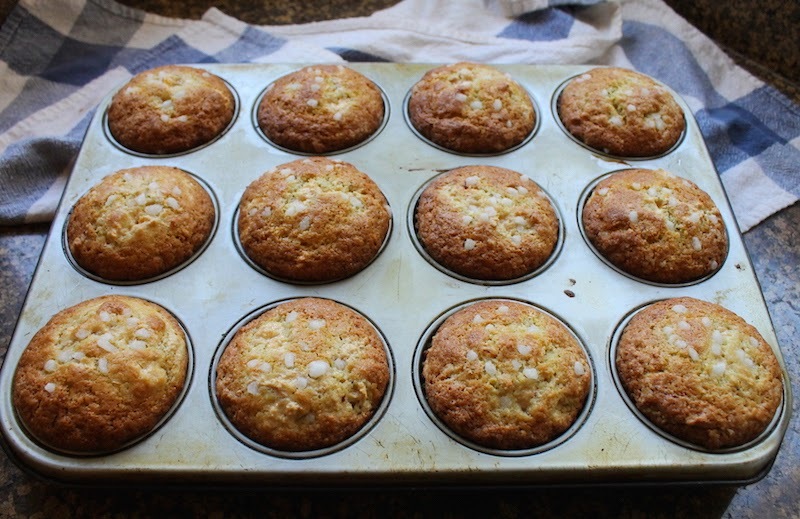 Cool the whole pan on a wire rack for a few minutes then remove the muffins and continuing cooling them on the rack. See what I mean about the filling? You'll have to trust me that it tastes good!